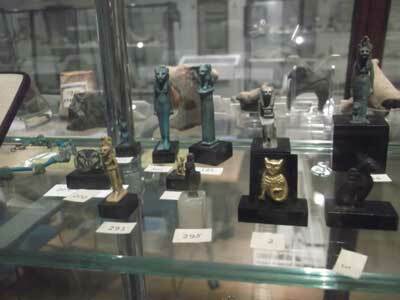 The Petrie Museum of Egyptian Archaeology is one of London's great hidden treasures. You can learn all about life in ancient Egypt and still have time for more fun in central London. All the information you need is here to enjoy a great day out. 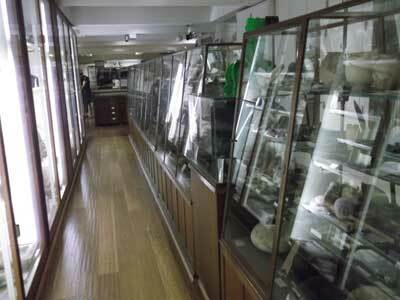 The Petrie Museum is a small venue but it is of world class importance. Inside, you will find four rooms containing over 80,000 objects! The museum is part of University College London and it is a centre for study and research as much as it is a visitor attraction. In this unique London museum, you will find countless treasures that relate to the everyday lives of people who lived several thousand years ago along the Nile Valley. Hair combs, clay bowls, fragments of clothing, burial objects, sculptures, glassware, beads, carvings and much more. 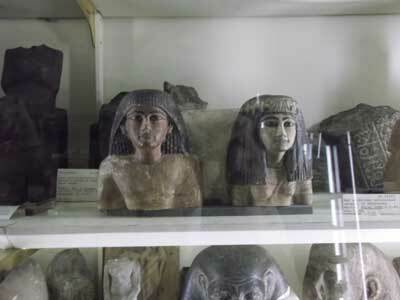 This is a fascinating place for you to visit, especially if you love all things Egyptian. Being such a small size and being free to enter, it would make a great place to combine with a visit to the Egyptian galleries at the nearby British Museum. There are plenty of other things to do in the area as well. There are green spaces to relax in and restaurants, pubs and cafes for refreshments. All the shops of Oxford Street and Tottenham Court Road are nearby for you to explore as well. 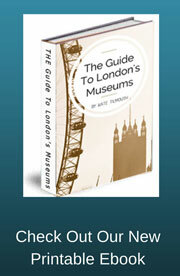 You can find the museum not far from Goodge Street underground station. It is down a small side street off of Malet Street, leading into the grounds of University College London. If at first you cannot find it, ask anyone nearby who looks like a student! The museum is named after the famous archaeologist William Matthew Flinders Petrie. He became well known for his scientific way of recording his finds. His discoveries now make up much of the museum's collection. While you are there, you could also visit the University's other two museums in the same area. There is an art museum and the Grant Museum of Zoology. •	Photography is allowed in the museum as long as you do not use flash. •	There is no shop or cafe at this venue. A world class collection of Mummy Portraits. These beautifully painted images on wood date from the later Roman period. The quality, realism and clarity of the artistry will quite take your breath away! You can see these ancient people as real individuals as their eyes look straight back at you from across the years. An ancient Pot Burial, with the skeleton positioned just as the body would have been placed in a huge ceramic pot. One of the earliest pieces of linen clothing from ancient Egypt. This tunic is displayed on a mannequin torso so you can see how it would have looked when it was worn. It is an unbelievable survival, being about 5000 years old! In a nearby room, there is also a bead dress, probably worn by a female from about 2400 BC. 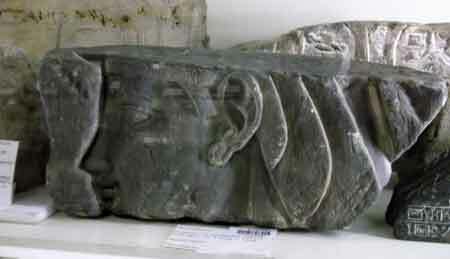 There are stunning stone sculptures, including a beautiful collection of Egyptian cats. 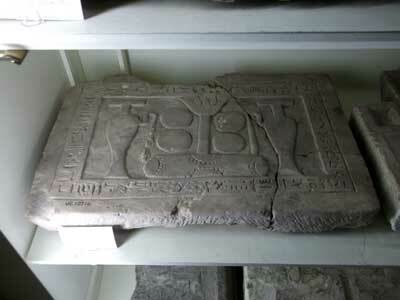 You can enjoy opening some of the old cabinet drawers to explore even more objects from Ancient Egypt. There are amulets, tiles, jewellery, tools and other objects from daily life. As you walk into the grounds of the University to find the Petrie Museum, you will feel the buzz of activity going on around you. While inside the museum, you can mix with students and academics as you enjoy the hushed atmosphere and gaze at the things inside. Climbing the entrance staircase, your curiosity is heightened by interesting quotes from the great archaeologist Flinders Petrie himself. Such as "The treasure dug up is not gold but history, and every day there is a new light on the past". At the entrance desk you are warmly welcomed by a very helpful attendant. She gave us a brief summary of what to expect inside and gave us some leaflets and a brief guide to some of the museum's highlights. Now, we have said that this museum is small, and the first gallery room you will come across is the entrance space itself. And the last gallery room is actually the back staircase! But quirks like these just add to the individuality of the place, and add to your sense of making your own discoveries as you find your way around. The museum is largely divided into themed sections, such as stone writing, pottery, glass, and coffin portraits. In the main room, you will walk between tall glass cabinets framed in dark wood, filled with stone pieces that are covered with Egyptian text and ancient carvings. They really are beautiful things! The middle of the room then opens out into an area that includes tables and chairs if you want to sit down and study. And also of how our imagination and curiosity can be roused by the type of simple and clear display that this museum uses. That (along with good labelling and information) it can allow the objects to really speak for themselves. We certainly forward to returning to the Petrie Museum again!